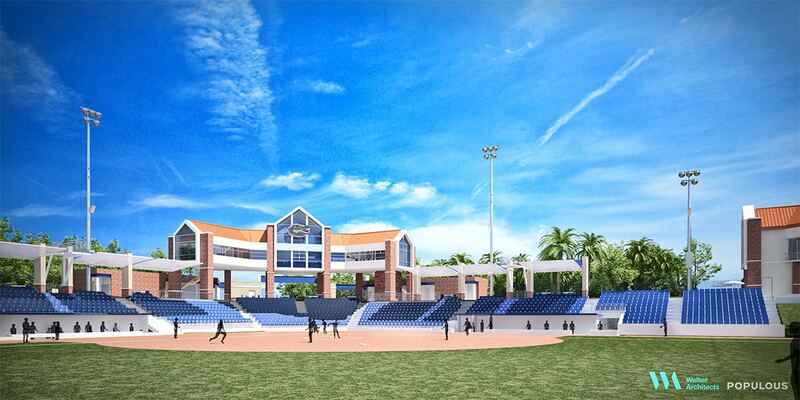 Walker Architects, in partnership with Populous, has just completed renderings of the planned renovations to Pressly Stadium. 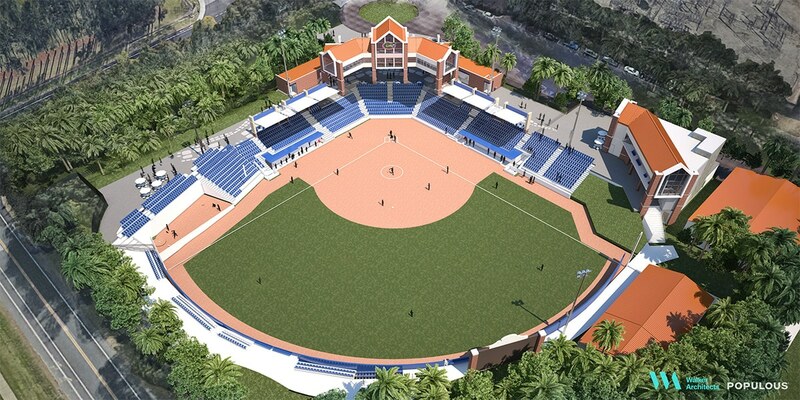 The estimated $11 million renovation to softball’s Katie Seashole Pressly Stadium will begin in the summer of 2018 with a goal for completion prior to the 2019 season. 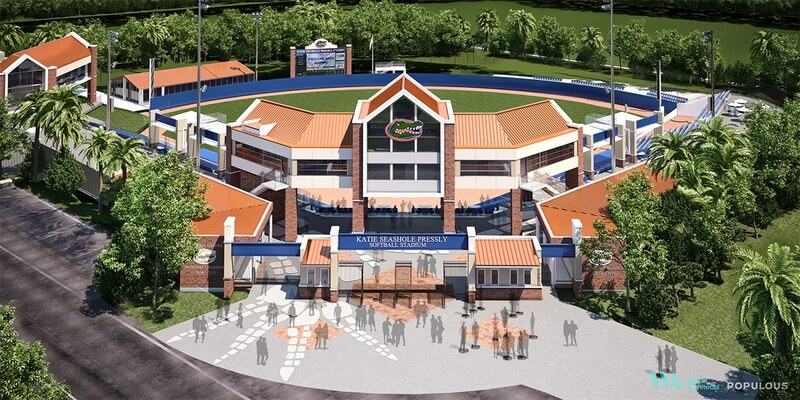 Renovations will include a 360-degree open concourse, shade structures for fans and an elevated press box. Fixed seating, which will be all chairback seats, will increase from 1,431 to approximately 2,280 and overall capacity will be approximately 2,800. There will be modern student-athlete and staff amenities, such as locker room and sports medicine facilities, and enhanced experiences for fans.